'Nailed for Asuran' - Important news from the team! Dhanush is back with his dual avatar in Vetri Maaran's upcoming movie Asuran and the team has wrapped up some important portions in the two schedules that have been completed. Asuran, bankrolled by V Creations Kalaipuli S Thanu and has popular Malayalam actress Manju Warrier as the lady lead. GV Prakash has joined hands with Dhanush after a long gap and earlier, we had reported that the actor composer has began to work on the songs for the movie and he will be completing three songs in the initial phase and will be composing the other song later as the movie progresses. And now, GV Prakash has given an exciting update about the composition. 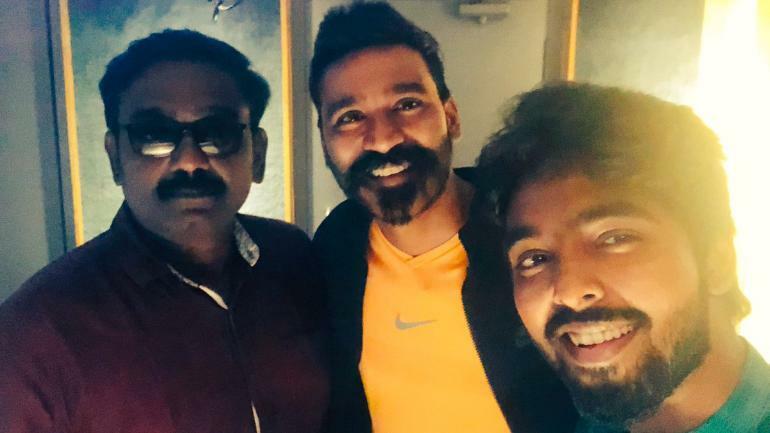 GV Prakash tweeted that he has completed two songs for Dhanush's Asuran and one of them is a superb dance number. Notably, GV earlier said that the album will have world music with some folk flavor. The musician is expected to finish the initial phase of composition soon and will be back with another update! >>'Otha Sollala' Combo Is Back! >>Dhanush Back In Action After Family Wedding! >>GV Prakash Gets A Gorgeous Heroine!